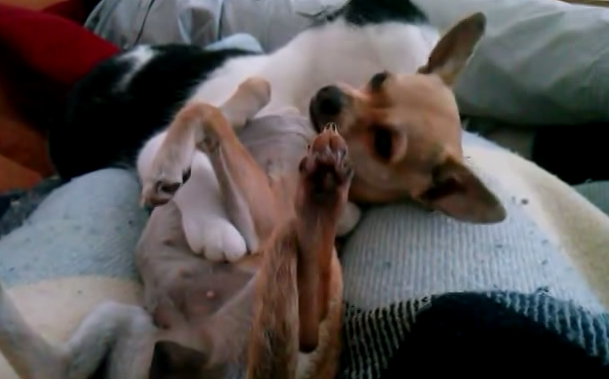 The title of the unbelievably cute video you are about to see is "Cleo la gata,mamá adoptiva de Maggie,la chihuahua Amor en estado puro!!" which roughly translates to "Cleo the cat adopts Maggie the Chihuahua, Love in its purest form". 9 strange inter-species adoptions: 9 highly unlikely adoptions that will leave you wondering..."Why humans just can't get along?"